Primal Scream are a Scottish alternative rock band. Bobby Gillespie (vocals) played drums with The Jesus and Mary Chain when he founded in 1982 with Jim Beattie (guitar), the band Primal Scream. In the years 1982-1984 the band has performed well, but they only achieved success when Gillespie The Jesus and Mary Chain left. The band played a key role in the indie rock scene of the eighties. Their music was characterized at the beginning by ringing (or jangly) sound and in the course of time they were influenced by successively psychedelic music, garage rock and dance. 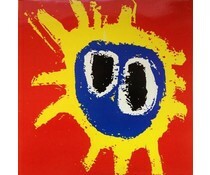 In 1991 Primal Scream album Screamadelica broke through and the band became a mainstream act.